Selectable, 4-Color LCD Display – Easy-to-read display in green, blue, amber, and red. 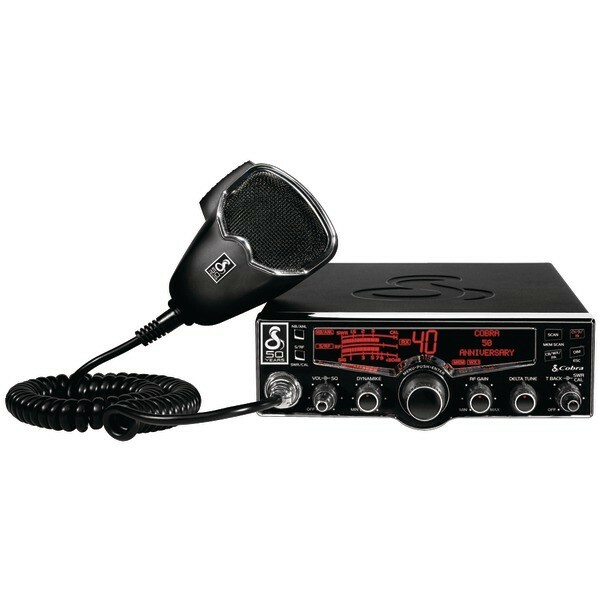 NOAA Weather & Emergency Alert – Be prepared for storms and emergencies with built-in NOAA radio receiver. Weather Scan and Alert Scan – Automatically scans for the strongest weather channel and alert tone. Frequency Display – Displays operating CB and weather frequencies. Radio Check Feature – Radio diagnostics for RF power, vehicle voltage and antenna SWR status. The 29 LX BT features Advanced Bluetooth® Wireless Technology connectivity in a modern aesthetic design with a selectable LCD color display allowing incoming text and voice caller ID on incoming calls ensuring driver safety and convenience. Other advanced Bluetooth features include, Address Book sync, Dual Point Bluetooth for Team drivers, A2DP audio streaming for text-to-speech processing allowing drivers to hear e-mails over the CB radio speaker with a text-to-speech downloaded on the phone.